Scannable QR code to listen to song while you color! Swampy, humid heat. Smoke plumes from a volcano in the distance and lava slowly starts to flow. What was rustling behind that tree? Your heart stops. It’s “Dinosaurs”! 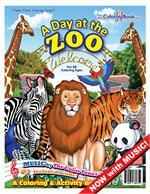 From the best-selling book, now, the Big Book of Dinosaurs comes with the “Dinosaurs” song. 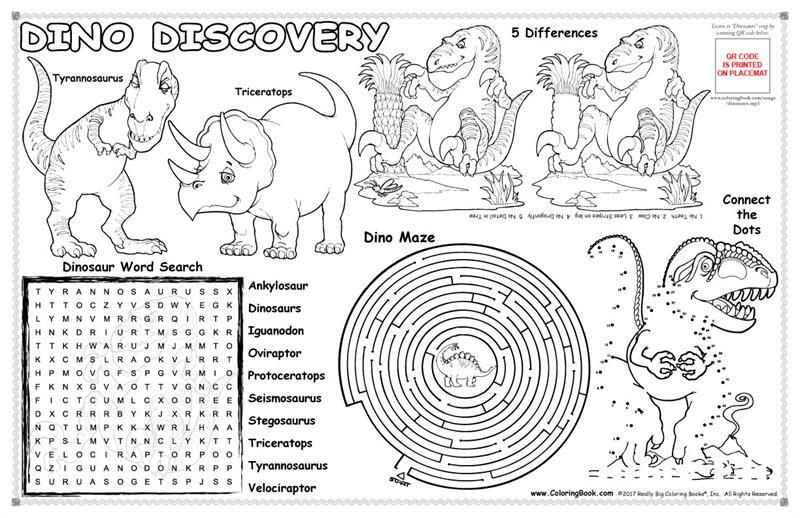 Learn about the many different types of dinosaurs while coloring, playing, dancing and singing along to the colossally scary, monstrously leathery, tremendously heavy song, “Dinosaurs”! *Click here to sample the song "Dinosaurs"
Don't let kids play with their food - give them a placemat to play with instead. 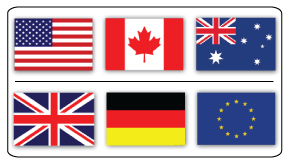 These fun-filled placemats measure 11" x 17" and are a hit with kids at restaurants, special events, schools, birthday parties and more! 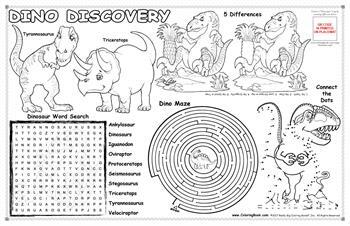 Featuring a dinosaur theme, kids can complete fun activities like a maze, a word search and connect-the-dots as well as color.